Valve has announced a new Site Licensing model which allows businesses interested in providing VR experiences to customers as an out of home experience. It seems the company have their sights on SteamVR powering a renaissance in VR-enabled Cybercafs. Lets face it, VR is still expensive pretty much any way you slice it. And whilst the affordability of immersive technology is improving rapidly, other barriers to enjoying premium VR experiences at home such as having the space to enjoy room-scale are still very much an issue. The next best thing to having your own VR setup? Well, Valve seems to think that you might instead want to pop down the road to your local Cybercaf to get your VR on instead. To that end, the company have just introduced a new initiative which is geared towards making it much easier to give commercial operations the ability to entertain punters in VR on site via Steam and SteamVR. 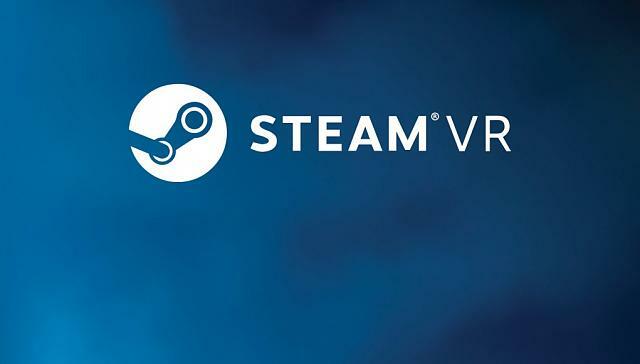 The Site Licensing Program for Steam allows any operation which intends to offer Steam based experiences, including of course HTC Vive VR titles, to visitors. Those operations could be anything from a museum to an arcade, pop-up store, cybercaf or as Valve puts it any other place you can think of. The new license allows the proprietor of said operation to obtain (at a cost) commercial subscription subscriptions to content offered via Steam and also access a growing list of free-to-play titles which Valve are making available via their Free Site Subscriptions list which already includes a number of VR titles such as Valves The Lab and Portal Stories: VR. This all of course ties in very nicely with HTCs recent investment in public VR entertainment spaces and their announcement of a similar initiative, also aimed at providing VR experiences at what they call offline experience centers via their own content portal platform Viveport. The move was announced at the joint Developer Forum of Alibaba Clouds annual Computing Conference in October and follows HTCs push towards opening 100s of VR caf in China next year. Its an interesting move from both parties, one that should further help allow those not yet able to afford the investment in space or money to own a VR system of their own to get to grips with immersive technology. As weve written many times before, VR has to be experienced to be fully understood, and should the idea of out of home VR businesses take off, that barrier of entry for VR experiences might just come down a notch or two. Interesting. I definitely see top-end VR experiences out of the house becoming a thing over the next few years. It's a smart move! Arcade's went into decline due to console's becoming so advanced and offering better value. Arcade's couldn't cost effectively remain state of the art enough to compete. With the room for innovation VR has I think it will be a while until state of the art systems will be accessible enough to the masses to once again kill the arcade.